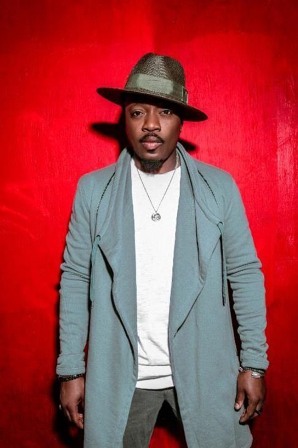 The Brotherhood Crusade is welcoming Grammy Award winning artist Anthony Hamilton to perform at the Pioneer of African American Achievement Awards Gala on the new event date, Friday, December 9, 2016, at the Beverly Hilton Hotel, located at 9876 Wilshire Blvd. The Grammy Award winning R&B singer-songwriter rose to fame with his platinum-selling second studio album Comin’ from Where I’m From (2003), which featured the title track single “Comin’ from Where I’m From” and the follow-up “Charlene.” Nominated for 10 Grammy awards, he is also known for the song “Freedom” from the soundtrack album of Django Unchained co-written and sung as a duo with indie soul singer Elayna Boynton. Hamilton made a cameo appearance on the hit Fox show, EMPIRE, where he performed “Point of It All” as part of main character Luscious Lyon's proposal to his girlfriend. On March 25, he released his 9th studio album “What I’m Feelin”, followed by embarking upon a nationwide tour earlier this year with Fantasia. 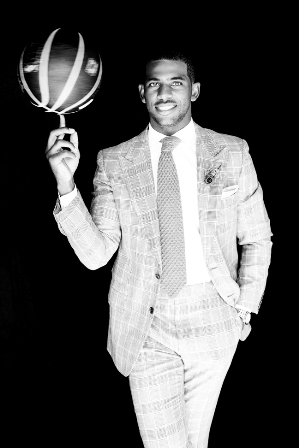 This year, Brotherhood Crusade will salute All-Star athlete and humanitarian Chris Paul and the Chris Paul Family Foundation with the prestigious 48th Annual Pioneer of African American Achievement Award. A world class athlete, hero and role model, Christopher Emmanuel Paul is an All-Star American professional basketball player for the Los Angeles Clippers of the National Basketball Association (NBA). The point guard has won the NBA Rookie of the Year Award, two Olympic gold medals, and led the NBA in assists four times and steals six times. He has also been selected to nine NBA All-Star teams, eight All-NBA teams, and eight All-Defensive teams. Paul was a McDonald’s All-American in high school. He attended Wake Forest University for two years of college basketball where he helped the Demon Deacons achieve their first ever number one ranking. He was selected fourth overall in the 2005 NBA draft by the New Orleans Hornets and traded to the Los Angeles Clippers in 2011. Brotherhood Crusade and many other organizations have benefitted from the generosity of The Chris Paul Family Foundation, which strives to positively impact individuals and families by leveling the playing field in Education, Sports and Life. The foundation provides impactful resources that enrich and strengthen healthy development of strong communities. Some of the astounding programs that have enriched the lives of Brotherhood Crusade youth include a state of the art computer lab donated by Chris Paul and the Chris Paul Family Foundation, the Holiday Takeover which involved a holiday shopping spree for underprivileged youth, compliments of Chris Paul and Kevin Hart and Jada’s Prom Dress Giveaway for high school senior girls who received beautiful prom dresses, shoes, jewelry and more, compliments of Chris and his wife Jada Paul.